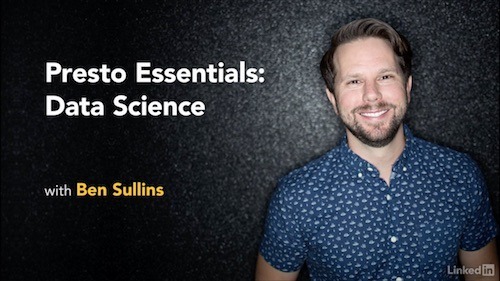 Data science expert Ben Sullins helps you get up to speed with Presto, and leverage it to accomplish a wide-range of data science and analytics tasks. He uses different interfaces with Presto—such as R and Tableau—and digs into the expressive SQL language that Presto offers for your analysis. At the end of this course, you’ll know the key concepts of Presto and how to use them to take full advantage of your modern big data system.